Besides Standard Functions Sine, Square, Triangle, Ramp it also provides various signals ASK, FSK, PWM and 8 Bit Pattern Generator. The digital revolution has resulted in many digital communication applications where the principles of data transmission are applied. These portable learning platform series provides a modern, Comprehensive and practical subject content of the field of digital communication. Using extensive hands on practice on different topics covered in these handy self contained TechBooks, students can understand the subject in a better way. Study and analysis of pulse Amplitude Modulation. Study and analysis of Nyquist Sampling Rate. Study and analysis of Natural Sampling with different types of message signals at different frequencies. Study and analysis of Flat top Sampling with different types of message signals at different frequencies. 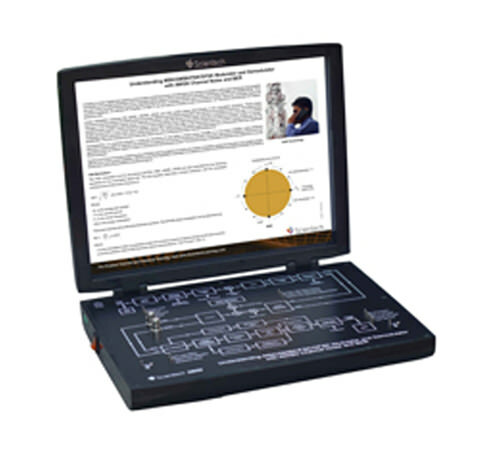 Study and analysis of Sample & Hold output with different types of message signals at different frequencies. Study and analysis of under sampling by varying the message frequency and sampling rate. Study and analysis of Second order Low Pass Butterworth filter. Study and analysis of Pulse Amplitude Demodulation of Sample & Hold output with Second Order Low Pass Butterworth filter. Analyze all these Natural sampling, Flat top sampling and Sample & Hold output simultaneously and observe the difference. Study and analysis of the Slope Overload distortion problem. Study and analysis of the Granular Noise problem. 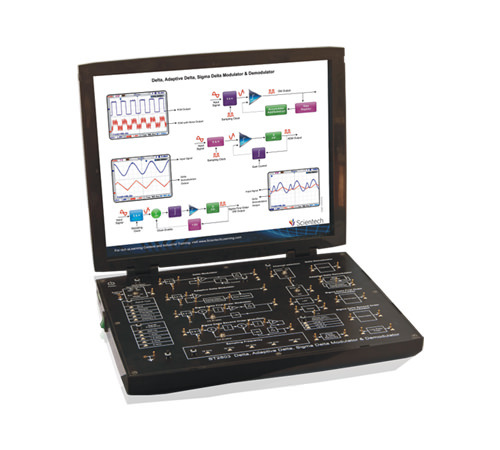 Study and analysis of single bit Delta modulated PCM output. Study and analysis of Integrator output at the Demodulator. Study and analysis of µ-law Compression. Study and analysis of µ-law Decompression. Study and analysis of of Amplitude Shift Keying Modulation. Study and analysis of Amplitude Shift Keying Demodulation. Study and analysis of Integrator and Comparator block. Study and analysis of Frequency Shift Keying Modulation. Study and analysis of Frequency Shift Keying Demodulation. Study and analysis of Binary Phase Shift Keying Modulation. Study and analysis of Binary Phase Shift Keying Demodulation. Study and analysis of Differential Binary Phase Shift Keying Modulation. Study and analysis of Differential Binary Phase Shift Keying Demodulation. 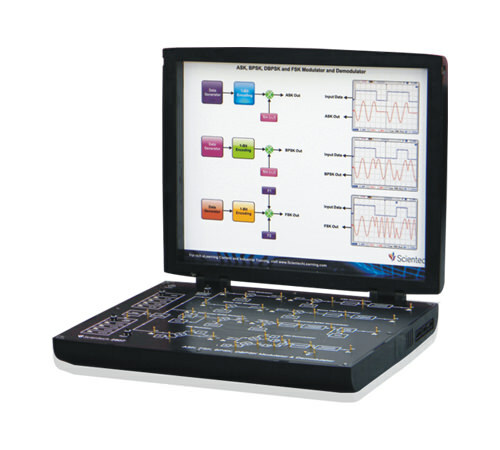 Study and analysis of Pulse Code Modulation. Study and analysis of single bit PCM output at different Line speed clock. 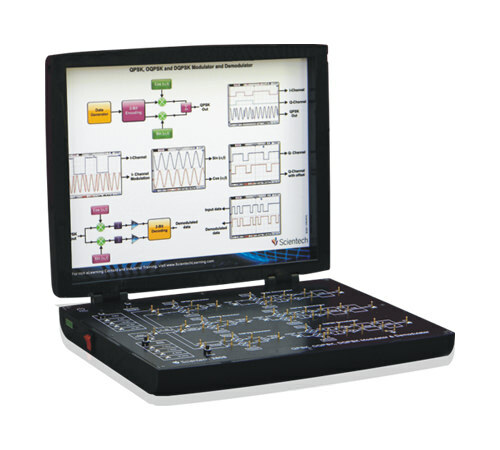 Study and analysis of Pulse Code Demodulation. Study and analysis of Serial to Parallel conversion. Analyze the final PCM demodulated output with Second Order Low Pass Butterworth filter. 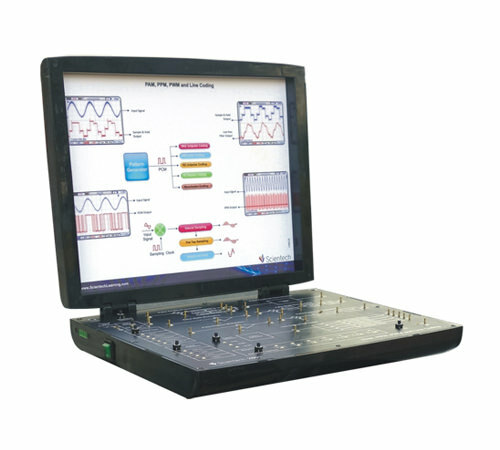 Study and analysis of Sample & Hold output at different channel by varying the Sampling as well as Signal frequency. 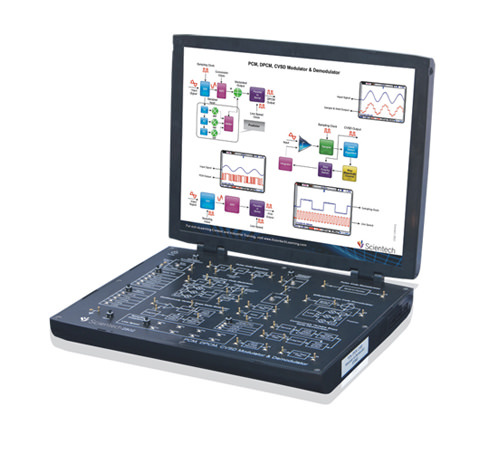 Study and analysis of Parallel to Serial conversion by varying the line speed clock at the different channel. Study and analysis of single bit PCM output at different line speed clock at the different channels. 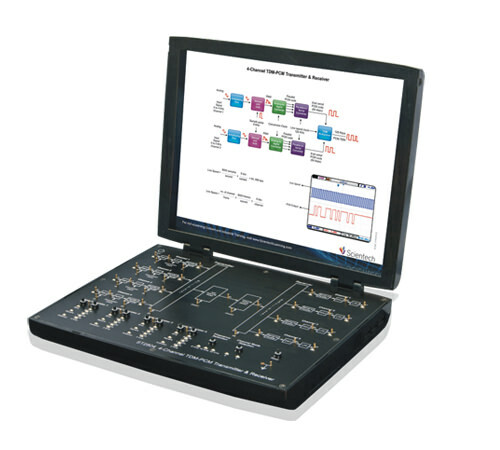 Study and analysis of single bit multiplexed PCM output at Modulator side. Study and analysis of single bit demultiplexed PCM output at Demodulator side. Study and analysis of Pulse Code Demodulation at the different channel. Study and analysis of Serial to Parallel conversion at the Demodulator. Analyze the final demodulated output with Second order Low Pass Butterworth filter. Study and analysis of eye pattern with and without Noise. 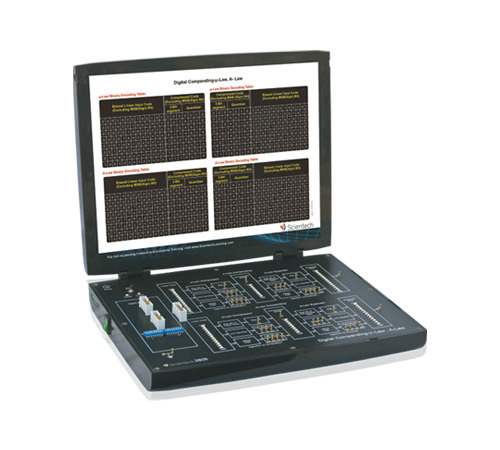 Study and analysis of Integrator and Comparator at the Demodulator end. Offset Quadrature Phase Shift Keying Modulation and Demodulation. Study and analysis of offset encoding and decoding. 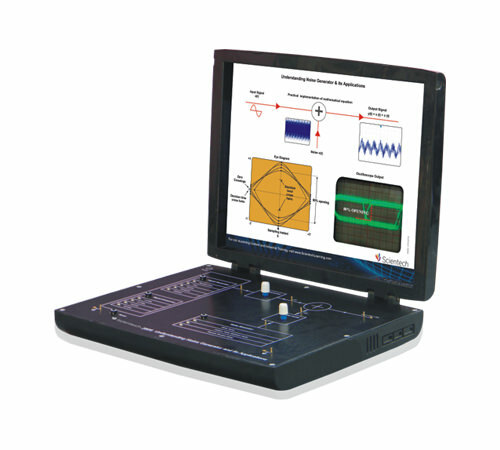 Diffrential Quadrature Phase Shift Keying Modulation and Demodulation. Study and analysis of differential encoding and decoding.